More often then not, colors look much different on skin then they look in the pot. 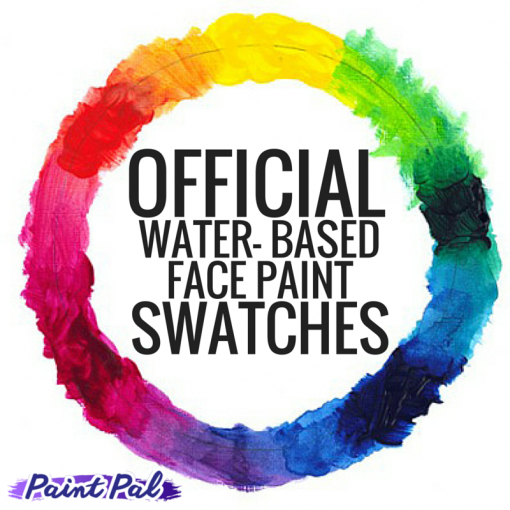 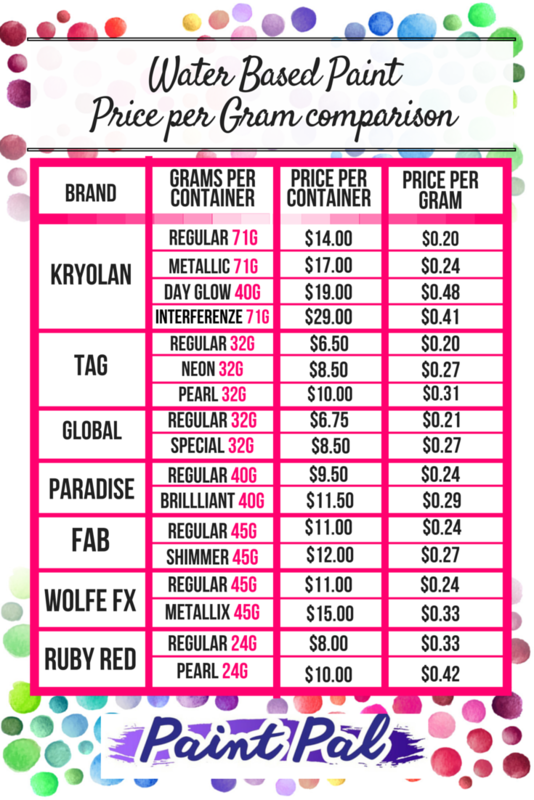 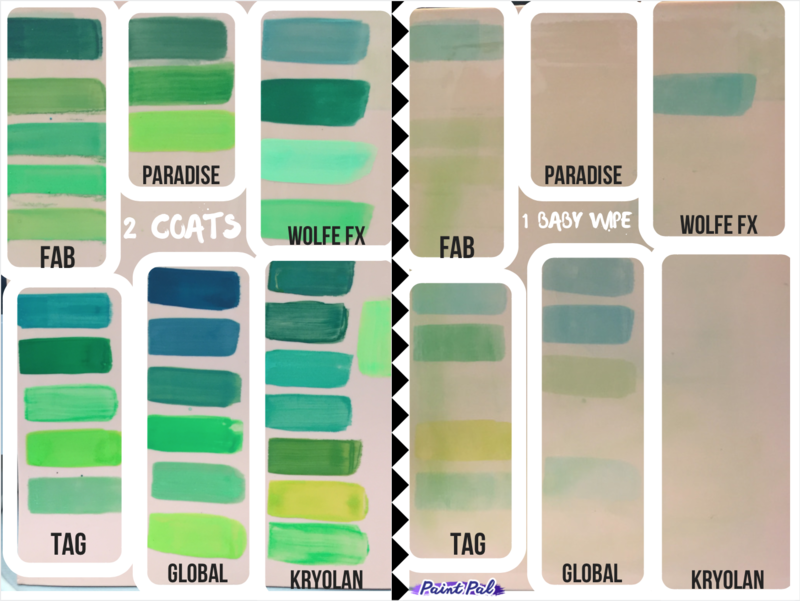 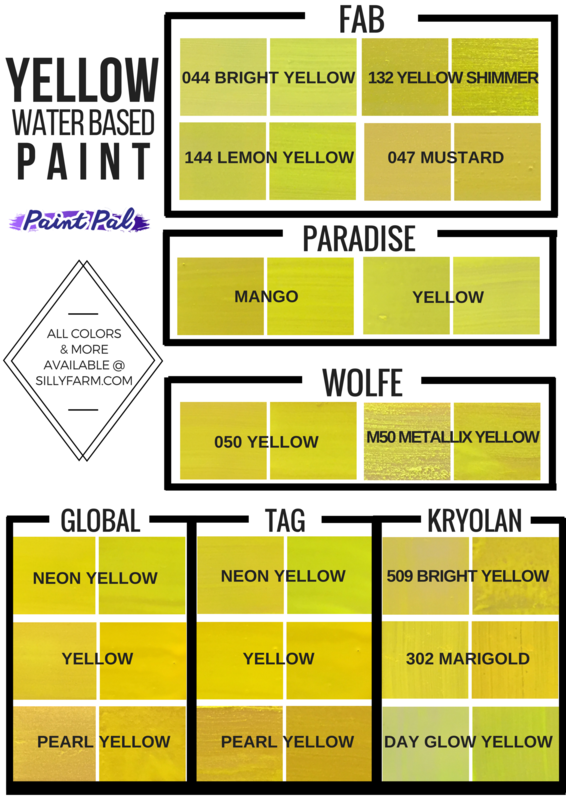 The following charts are designed to help you find the perfect shade you are looking for amongst the different brands of water- based paint offered at Sillyfarm.com. 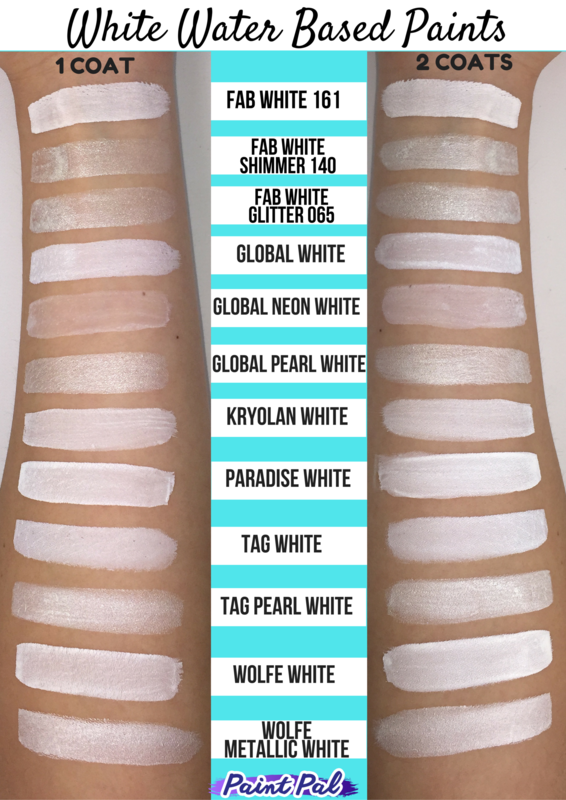 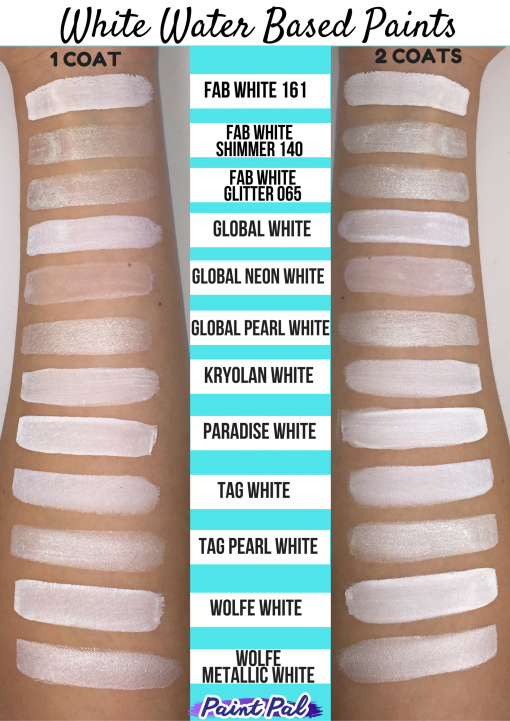 Each charts shows the paint with one and two coats on flesh toned skin. 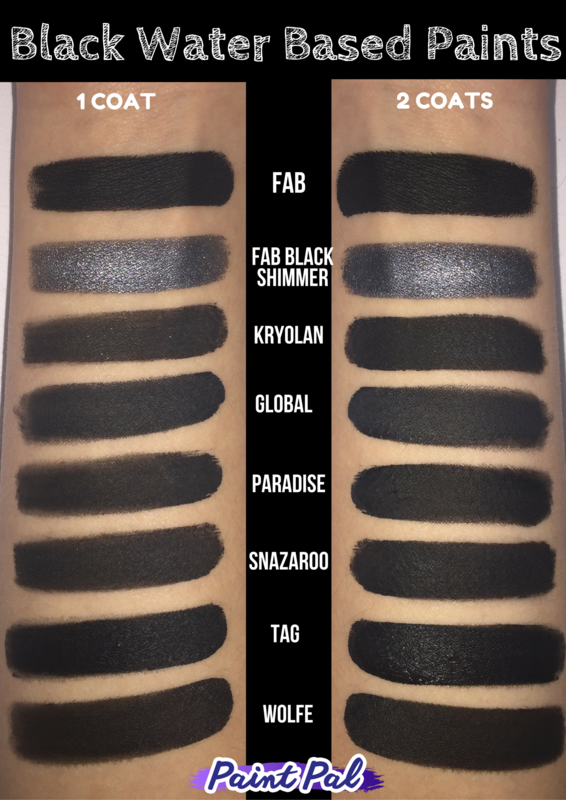 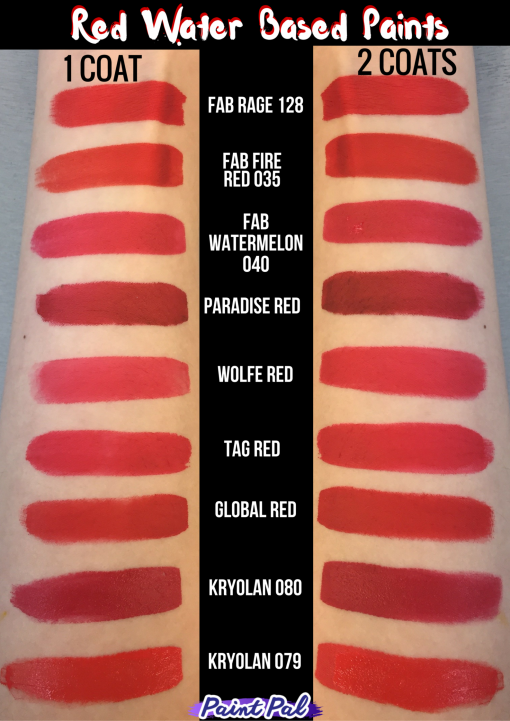 Follow us on pinterest for up to date notifications on when new Color Charts are added!